Sail Brooklyn: A Meal at Per Se or a Sunfish Sailboat, Which Costs More? A Meal at Per Se or a Sunfish Sailboat, Which Costs More? 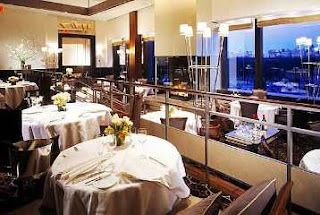 A friend of mine, we'll call him M.A., recently took his girlfriend to celebrate his recent promotion, raise, bonus and Valentine's Day by indulging themselves with a meal at Per Se, one of only two restaurants in NYC to receive Three Stars in the Michelin Guide. M.A. told me it was the best meal of his life, and well worth the $987 (which included service charges). In fact, he was so appreciative and tipped an additional $150, bringing the total bill to $1,137. For less than the cost of M.A. 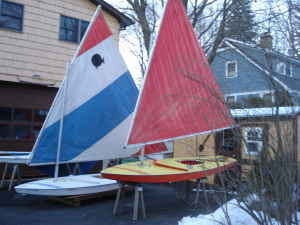 's meal for two with drinks, you could purchase a Sunfish sailboat on Craig's list for $800 (or two for $1500). If you desire a dinghy that is a bit bigger and faster, there's AMF Zuma for $1,300 which is only $163 more than my friend paid for the meal of a lifetime. Any reasonable person would agree that $1,137 for a meal for two people is outrageously expensive. But you could make the case that having the ability to sail your own boat for less than $1,000 is in fact reasonable, even downright cheap, compared to what some may spend on indulging themselves. They drank a bottle of rose champagne, a half-bottle Montrachet white wine, which he said was ridiculous, and a half-bottle of Martinelli 2005 Blue Slide Ridge pinot noir. The kind staff at Per Se provided M.A. and his lady friend a a tour of the kitchen and all the different stations. He said "the workspaces are immaculate" and added that they have a "state of the art water system from Norway that creates perfect still and sparkling water and saves the environment." if it comes out of a locked box, you know it's gonna be good. Mmm. Dinner sounds good, but I think I'd get the boat instead. Of course my idea of being a high-maintenance girlfriend involves making my boyfriend bring both the surf and the sea kayaks. So I'm not normal.